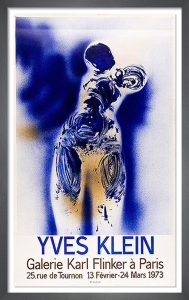 Yves Klein (1928-1962) was a highly influential Conceptual artist. He was obsessed with pure colour and is best known for his monochromatic blue series in the trademark pigment International Klein Blue, which he described as "beyond dimensions". 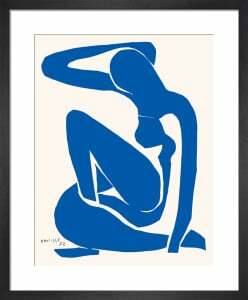 For Klein, this vibrant colour was a means to immerse the viewer in his own vision of infinity. 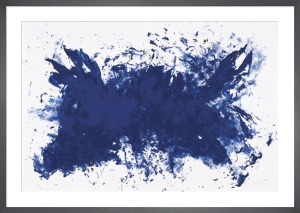 Bring a splash of this intense blue to your walls with our collection of Yves Klein prints.